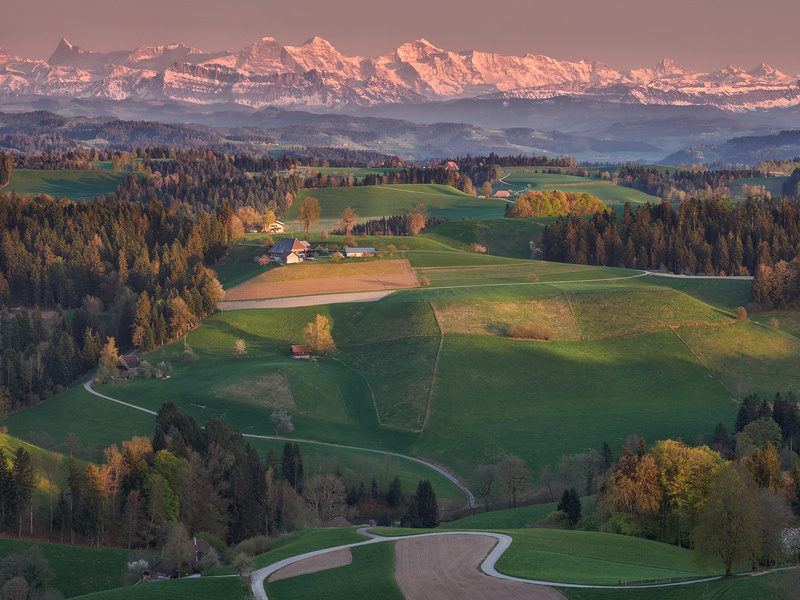 Sunset view over the Emmental, in Switzerland not so far from the capital city of Bern. This area is world famous for his cheese, and his view over the giant mountains of Eiger, Jungfrau and Mönch. The Eiger is the biggest mountain face of Europe, with his 1800 meter tall wall.